Well-established firm is seeking to add an Architect to their existing team who can provide attention to detail, aesthetics, and high level of service to each project and client, while providing simple, innovative, and elegant compositions. From conceptual design to construction administration, this position includes both public speaking and client interaction. Applicants should be prepared to work in a studio office environment and demonstrate self-imposed time management skills as well as self-motivation. The successful candidate will be a person who can take a job from beginning to end with great forward momentum. Production drawings also play a large part in this job. Proficiency in Autocad and Revit, with field construction management experience. Knowledge of rendering software specifically Adobe Suite (Photoshop, Illustrator, Indesign etc. ) and Sketchup a plus. Executive recruiting since 1992. One of the most common questions I get asked is, “What areas of recruiting do you specialize in?” My answer is always, “Helping WNY businesses find amazing WNY talent.” It has been in manufacturing, engineering, human resources, sales or any other professional area. 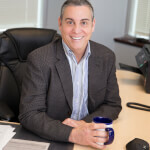 The 12 years prior to joining DeBellis & Catherine Associates, he held human resources generalist positions at United Airlines, Merck Pharmaceuticals and M&T bank, specializing in recruiting and training. Vince holds a dual BS from State University College at Buffalo in business administration and education. He was named partner in January 2006 forming the new name of DeBellis, Catherine & Morreale.